Channel Insider (http://www.channelinsider.com/) had the chance to review the Creative inPerson and they liked it very much. Describing the inPerson as a "well executed, entry-level effort", this video conferencing tool is function packed and easy to use. As traditional video conferencing systems are costly and complicated, it is usually only used by Multi-National Companies. 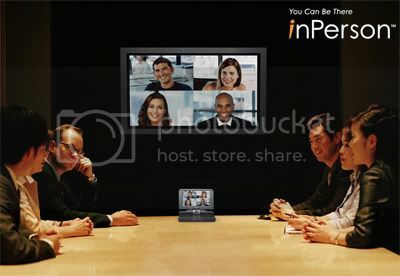 Now with inPerson, even small-medium sized enterprises can afford to do businesses via video conferencing. Besides video conferencing, you can only make video call to people with web cams or even voice calls to fixed and mobile lines. If you haven't heard of inPerson, check out the product demo here.